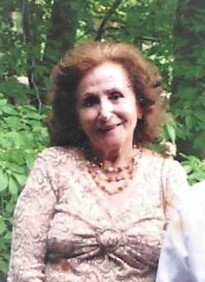 NAHA L. LOUIS (nee Bedran), age 94. Beloved wife of the late Philip. Loving mother of George (Linda), Raymond (Laurie), Philip and the late Charles. Cherished grandmother of Dawn Parncutt (Richard), James (Tammy), Shannon, Jason (Tracy) and Megan. Great grandmother of Michael (Alexandria), Emily, Anabelle, Austin and Olivia. Great great grandmother of Lydia. Dear sister of Khalil, Rimon and the late Yousef and Michel Bedran. Mass of Christian Burial at St. Maron Church, 1245 Carnegie Avenue, Cleveland Tuesday April 9, 2019 at 10:00 AM. Interment Holy Cross Cemetery. The family will receive friends Monday April 8, 2019 4 – 8 PM with Prayers of Incense at 7:00 PM at the A. RIPEPI AND SONS FUNERAL HOME, 18149 BAGLEY ROAD, MIDDLEBURG HEIGHTS, OH (West of I-71).